ikat bag: Reversible Tote Bag Giveaway! 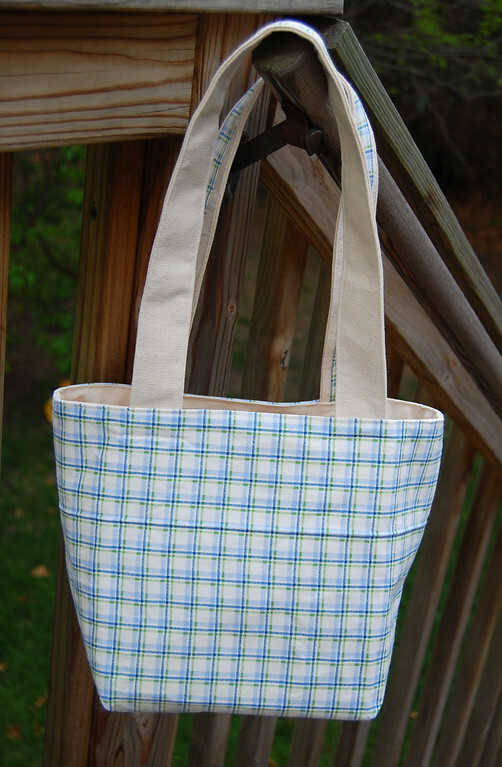 this reversible shoulder tote bag is going to a new home! artwork. The other side is blue-and-green-on-ivory squares. to stand up all on its own. 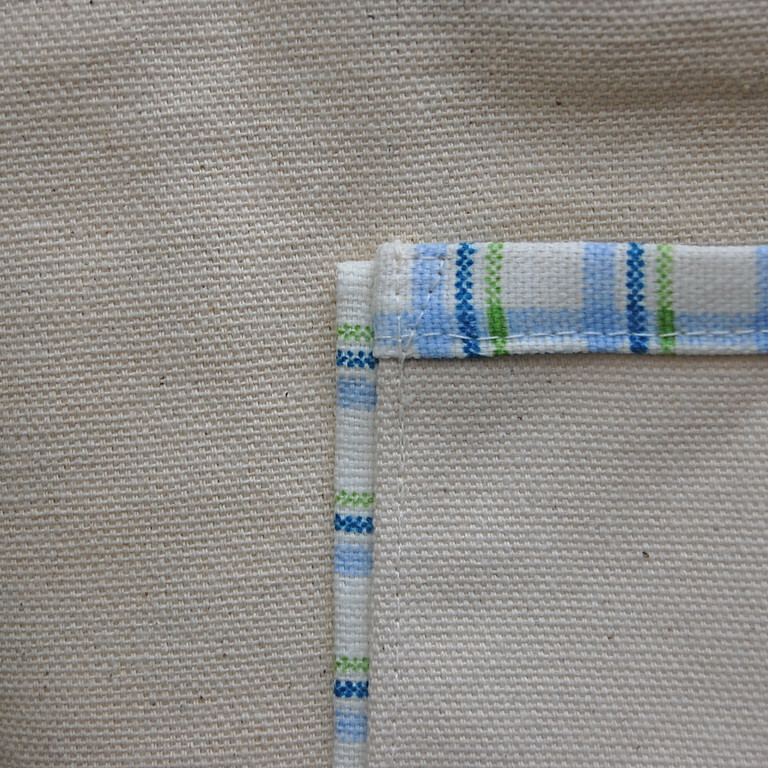 Here's a close-up of the pocket detail. now lives with her grandmother. so I can contact you when you win. Pretty cool, my sewing skills aren't really up there yet (okay, they're non-existent) so this would be a fun one to win. What a neat tote bag! I would be happy to give it a happy home. Also, I'm about to get a website going and I would like, at some point, to be able to link to some of your ideas - if you are okay with that. Very cute! I already have a use for it in mind now! Awesome! I love the bags. 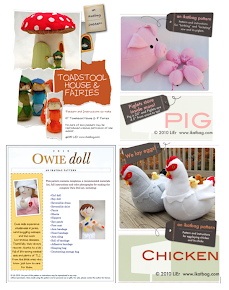 I found my way here through your awesome sewn toys. love the bag!!!! Thanks for sharing! stampmaniac at gmail dot com. Can you ever have enough bags? I would love to bring this one home! Such a sweet bag! And I love the idea of a give-away day. Going to check that out now. Oooh! Another of your delicious giveaways. I'll volunteer to take it off your hands - please? Ooohh, me me me please? Me! Me! I'm a bag lady ! I loved this bag the first time I saw your post! This looks like a perfect vaca bag! Thanks for the chance! This will be a great tote to take to the farmer's market! If i dont win i will def use your tutorial, thanks! Very nice, thanks for the giveaway! so cute. I like her artwork too. I would love to win and try adding my own artwork to the pocket. that is so stinkin cute...sign em up! come check out my bag giveaway too! Love tote bags! I bring one every place I go! It's not just because I love it ... but I need this bag!!! Really !! I love it!! thanks for the chance to win. Cute tote bag. Thanks for hosting this giveaway. Wow... Great giveway! 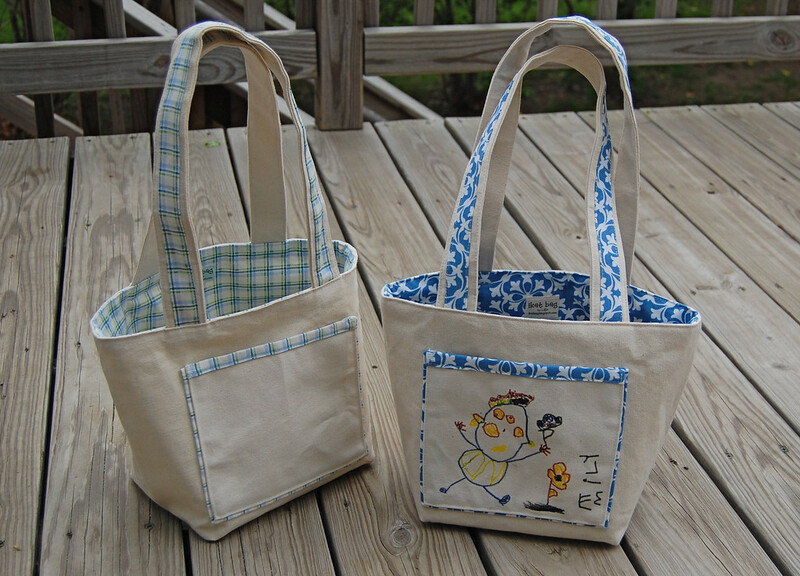 I love the embroidery you did on the second bag. You are very talented! Oh the things I could fill this bag with! I love all your projects. My little girls are so jealous of your daughters extensive dress up collection! Thanks for the chance to win one of your awesome bags! super cute! i love bags... you could call it an obsession! So cute! I can't wait to check out the pattern also, and the rest of your site. Cute tote!! I'd love to give it a good home! Pretty tote - would love to win it in your giveaway. I love, love, love this bag! Thanks for the chance. This is such a cute tote!! Adorable. 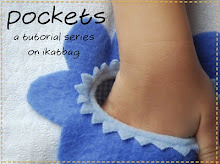 I am going to check out the pattern too! Lovely bag! Thanks for the great giveaway. Not only do I LOVE your bag, but I also love your blog and am definitely going to be a loyal follower from now on! Super-cute bag; I'd love to win! I love that tote bag. You did a great job. thanks for the giveaway. I love that! What a great idea. I think I am going to look at your pattern now. I am saving you to come back later! I am so glad you are involved in this giveaway, your blog is so cute!!! That is an AWESOME bag!! I hope I win! I love the bag! Thank you for the great giveaway. I'd love to get the bag. I had trouble printing the pattern but will just have to win so I can use the one I win as a pattern! Cute bag! I love how your daughter personalized the one for grandma! Oh my love, love, love this bag! Thanks for the chance at this giveaway. Wonderful bag! I love your choice of fabrics. This is a lovely bag I would love to win! Thanks for the great giveaway, if I am the lucky winner, you can contact me through my website www.radseams.com. Now THAT's a great bag -- doesn't look floppy at all! And you're in my google reader now -- does that count as subscribing? This is so adorable! Perfect for the summer. I'd love to win your tote bag! i love the bag!!! it's so sweet. sign me up! Thanks for a great giveaway. the bag is lovely. Ooh I love the fabric you chose for the bag! My email is on my About Me page. Wonder tote! Thanks for offering it in the give away!!! What a great bag - I love that it's reversible. I would love to give this bag a great home. I love that your daughter gussied up the one for Grandma. Love the bag. Would be great for my knitting. :) Perhaps if I don't win yours I will make one. Thanks! I love that bag and I happen to have a small anvil an no way to carry it. I love this bag! Very nice!! What an adorable bag. Thanks so much for the links. That's so cute and totally reversible? I love it! Oh I love this nifty bag! I would love it. That's a great tote bag! Thanks for the opportunity. Wow this is really cool! I love it! Cute bag and like that it is reversable. Would love to give it a new home. ooo i have an anvil! i'd love to test this bag with it :0 ha! thanks for the great giveaway! This is gorgeous - what a fab bag. this is so so sweet! My kids would freak out over it. Love this tote, and the ideas to make it personal! Thanks for sharing with all of us! so very very cute!! thanks for your sweet giveaway treat! What a lovely tote bag! Cute bag...I just can't resist bags. oh my gosh- this would be perfect to add to my purse collection. Fabulous tote! Nice personal touches. Thanks for your generous give-away! Oh so cute! And I love the artwork on your daughter's bag! What a gorgeous idea for a bag! I'd love to win, fingers crossed!! What a cute tote bag. I would use it to carry my coupons in when I go shopping! Sweet bag--love it! And I love your blog--so many great ideas!! I love the bag! Blue and green are my fav colors and I really like off whites as well. 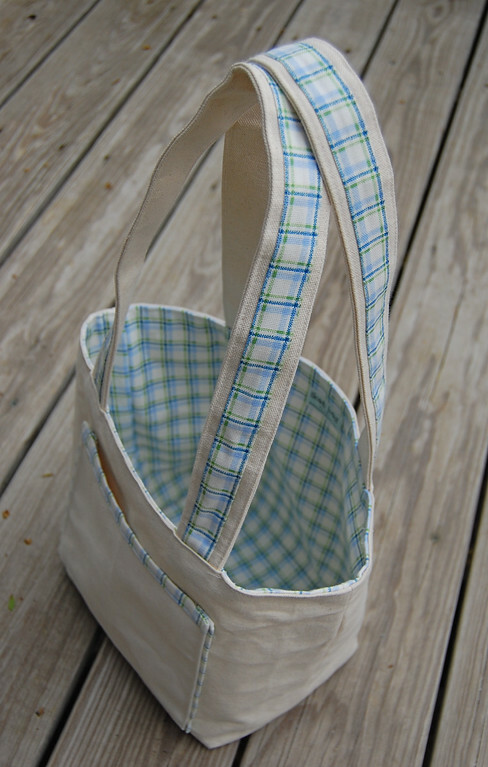 I've never attempted to make a reversible bag so winning yours would be awesome! this bag is just perfect, I'd love to have one ! How wonderful are you!! it's a beautiful piece!! we're having a give away too!! That bag is adorable. I would be honoured to win it. I love your site! Love this bag! Perfect for library books! No anvils here though. The bag is so cute and pratical! Love the bag!!! Thanks for the giveaway! This is a very pretty bag. Lucky the person who wins it. I love the tote bag. Beautiful. I hope I win. Thanks for sharing. I don't have an anvil but I promise if I win I'll use that gorgeous bag often and with great plasure! I think I'm going to win. Very cute!!! My girls love totes! Very cute bag, and right up my alley, as I only used reusable bags when I shop. Thanks for the chance to win, and please be sure to pop over to my blog and enter the giveaway that I am hosting. i'm enjoying my wallet so much i thought i would get lucky twice. heheheh. btw, my friend saw adele enjoying my nursing cover last weekend & is thinking of making her own. her 1.5 yr old son recognises her deep blue baby sling & refused to "share" it so she needs to make one of a similar color. i referred her to your blog. :) would you love to make nursing tops for the crazy humid weather here? i would love to buy them. A girl could always use another bag. Love your tote and the way it can stand on its own. love this bag! SO cute! Great tote. And thanks for posting the pattern.. Such a cute bag! Thanks for the chance to win! This is unbelievably cute! I would love to win it! What a cute bag!!! I would ask my sister to draw something for me. Thanks a lot and please count me in. 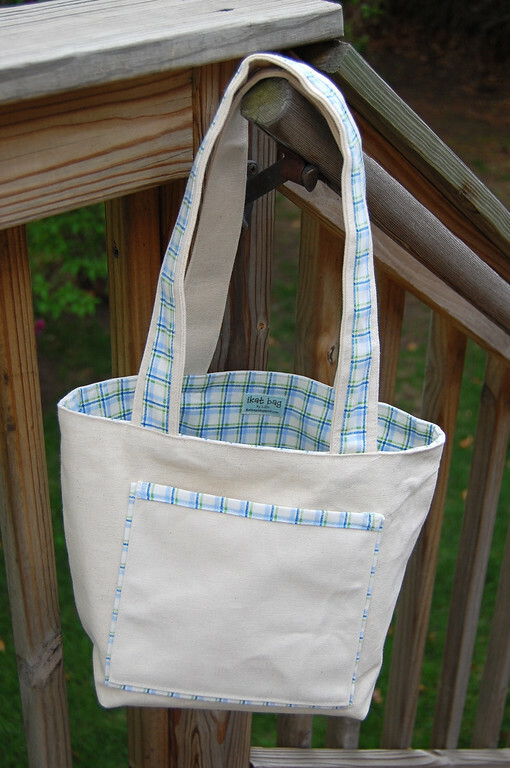 What a lovelt summery tote - it is beautifully made. Thank you for the chance to win such a lovely giveaway. visit me for a girly GIVEAWAY! This is a lovely little tote bag. I'm super impressed at the fact that it's reversible. None of my stuff is good enough to do that. Love the long straps on the bag, and the blue plaid inside. What a great bag!!! What a great bag! Thanks for the chance to win! That is an awesome bag! Thanks! Great sturdy bag -- I especially like the contrast fabric on the handles. Put my name in the hat! Lovely bag. And I am always carrying a bag, of books or other things. I love it! it's amazing!!! That is such a great bag... it looks handy for sewing stuff and I love the color scheme. Love it! Love it! Oh so cute!!! I would love to win it! Please count me in! Thank you!!! Wow - love that bag - great colour combos! How unique this bag is. Thanks for the chance. Love,love,love this tote bag! Crossing my fingers that my number comes up! What a beautifully made bag - lovely! How beautiful is your reversable bag, it's perfect! My eldest loves to draw on the calico shopping bags we have at home and I am sure he would have a ball drawing (personalising) yours. Please enter me, I will give it a good home, I promise! my first reaction was "reversable? NO WAY!" wow! the image of your daughter's artwork in the pocket is what did it for me! my daughter would be so proud to see her work displayed like that! thanks for the opportunity! Great bag, its wonderful! Thanks for the great give-away! What a darling bag. I would love to give it a new home! Thank you so much for entering me in the drawing. WOW! - What a great giveaway - Thanks! That looks like it would be the perfect size for my new work lunch bag! Super cute too! What a great bag! I love the pocket details. A very cute little tote. Thanks for the giveaway. I love that it is reversible. I will def check out your pattern for this later.